Khan, one of nine accused in the Gorakhpur hospital tragedy, was released on bail last week. 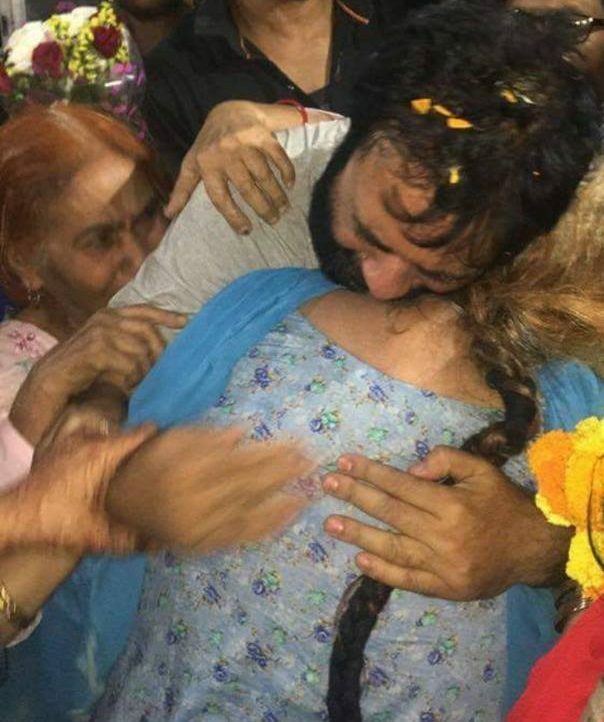 New Delhi: As he walked out of prison Saturday after eight months, Dr Kafeel Khan says he was “mentally tired, physically sick and emotionally exhausted”. But he was also heartened to see the welcome that awaited him. 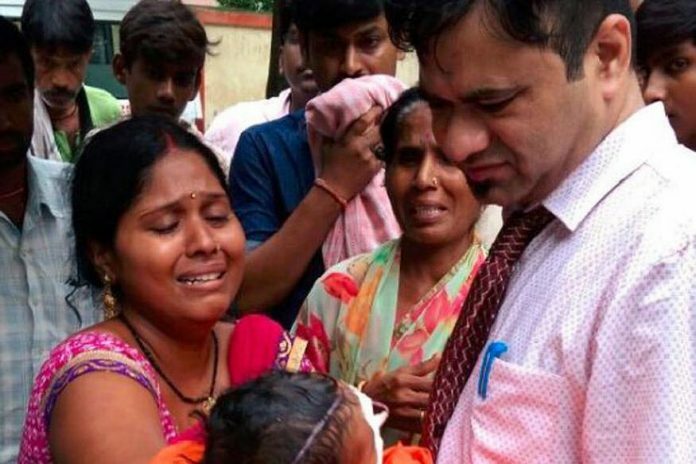 Waiting outside the prison were scores of people, including the parents of the young children he sought to save that fateful August night last year, when the oxygen supply at Gorakhpur’s BRD Hospital stopped. Khan recalls with some bitterness the journey since August, when over 30 children died at the hospital overnight on account of the oxygen fiasco. “The same people who made me the villain have now made me the hero… including the media,” he said. Initially, Khan was hailed as a hero in the immediate aftermath of the tragedy for his reported efforts to arrange oxygen for the patients with his own money. But he was arrested on 2 September as part of the crackdown on those responsible for the tragedy. He is one of nine accused in the case. The charges centred on his role in the tendering process followed for shortlisting the company, Pushpa Sales, that supplied liquid oxygen to the hospital; and negligence that led to the shortage of oxygen. Khan was also charged with corruption and for running a private practice, but the charges were dropped in November after an investigation. There were also reports that Uttar Pradesh CM Yogi Adityanath was furious with Khan as he believed him to be the man who tipped off the media about a case that sparked national outrage. The eight months in jail, Khan said, were a lonely time for him as no one came to visit. “People were probably scared of Yogiji,” he said, talking to ThePrint Sunday. In prison, the paediatrician slept on the floor, one of 150 prisoners in a barrack meant for 50. He says he swallowed just enough food to stay alive, and battled armies of mosquitoes at night and swarms of flies during the day. Yet, the “breaking point” came when he saw his 62-year-old mother standing outside the jail, holding out her frail arms to embrace him. “When she saw me, she said, ‘Mere kaleje se lag ja, beta.’ That moment, I broke down,” he added. That moment was captured on camera, and photographs of a weeping Khan hugging his mother soon went viral. According to Khan, the oxygen supply was cut because the lakhs of rupees due to the supplier had not been paid despite repeated reminders to the hospital and state administration. “They just kept forwarding files to each other, and when the situation exploded, they implicated me,” he alleged. While Khan maintains that he did everything he could to save lives that night, he refuses the idea that he was targeted only for being a Muslim. “I don’t think I was only targeted because of my religion; that could be a factor… They just wanted to save the big fish sitting in Lucknow,” he alleged. “I was simply used to cover up a major administrative failure. But I can’t say why Yogiji chose me. You should ask him,” he said. Khan was on leave the day of the tragedy, but went to the hospital to help after he got word about the oxygen supply. “I’ve asked myself for eight months if I did anything wrong, and the answer is always ‘no’,” he said. There are no regrets either. He would do everything all over again if he could save the lives of even 10 children, he added. “The thought that I shouldn’t have gone to the hospital has never even crossed my mind. I have a child of my own and a heart… No normal person can see children dying,” he said. After the arrest, he added, “They took me to a guesthouse instead of a prison, and said, ‘bohot hero bann raha tha tu’.” “But before they could manhandle me, I told them that if they touched me, I would tell the media (everything) as soon as I stepped out,” he added. The only reason he surrendered to police, Khan said, was because he knew there was no case against him. However, days within the hellish prison turned into weeks, and weeks into months. But the bail Khan was expecting in a day remained elusive, even as six others managed to secure it. His family decided they had “had enough” when, earlier this month, the Supreme Court granted bail to the owner of Pushpa Sales, who has been booked for criminal conspiracy and criminal breach of trust. “On 9 April, when the Supreme Court granted bail to Manish Bhandari, the man who was responsible for the shortage, while the man who had tried to save lives was still languishing in jail, we thought we would have to speak up,” Khan said. His brother Adeel and wife Shabishtha subsequently packed their bags for the capital, where they held a press conference to tell Khan’s story. They also released a 10-page open letter written by Khan titled ‘Am I really guilty?’, wherein he said he was being made a scapegoat. Within four days, he was granted bail by the Allahabad High Court. Just over a week later, he was released from prison. While the case continues to loom over Khan’s career as a doctor, he says he and his family have no fear.